The first time self-soothing was explained to me, it was by a friend who had her hands full taking care of a new baby. Self-soothing, she said, is when a baby develops the capacity to calm his or herself down. It’s seen as being key to uninterrupted nights of sleep for parents, since it allows babies to get back to rest if they should happen to wake up during the night. A little while later, when I was exploring resources on coping with depression and anxiety, I learned that there’s such a thing as adult self-soothing, too. It may be an especially important skill to develop if you identify as a sensitive person or you feel the impact of emotions very strongly. Self-soothing practices can take all sorts of shapes and forms; they may take one out of time and place, like going for a walk or practicing yoga in a special part of the home, or they might be as simple as listening to a particular song, sipping tea, breathing deeply, praying, singing, humming, reading poetry out loud, or smelling an essential oil. These, anyway, are my own favorite ways to self-soothe. Two years ago at this time, my anxiety was so bad that I often didn’t want to leave the house. I did leave, going about my business and trying to perform as much competence as I could muster, but I felt as if I was falling apart. I was so on edge, so irritable, and so unable to hang onto a sense of safety or security. It really scared me, much more than my depression ever had. Many months of therapy later, and I’m in a different place. But this week in particular gave me new skills to be grateful for. 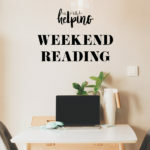 A few situations came up that triggered my anxiety, and I reacted, but I was able to stay connected to a fundamental sense that things would be OK. I’m not exactly sure what to attribute this to: my meditation practice? Learning to pay attention to my breath? Slowing down? Learning to say “no”? Reconnecting? The answer is that all of these things, coupled with time and patience, have helped. I’m also starting to understand that quelling anxiety creates muscle memory; if you do it often enough, you start to believe, consciously and unconsciously, that it’s possible, and then it starts to happen more readily. I know that I may manage my anxiety for a long time and possibly live with it always, just as I know I’ll always have brushes with depression and may always periodically encounter certain ED-related urges. In writing these words today, though, I realize how surprisingly calm I feel about my anxiety, which is sweetly ironic. For the first time in a long time, I’m not alarmed by the fact that I have anxiety, not scared of it. I’ve been given signs that I have some of the tools I need to manage it. Maybe I’ll need to expand or change up my toolkit at some point, but that’s OK: toolkits can grow along with us. For now, merely knowing that I can get centered even in the midst of anxious feelings or thoughts is a major shift, one that gives me hope and a sense of spaciousness. As always, wishing everyone peace and grounding as we head out into a fresh week. Enjoy these tasty recipes and reading links. 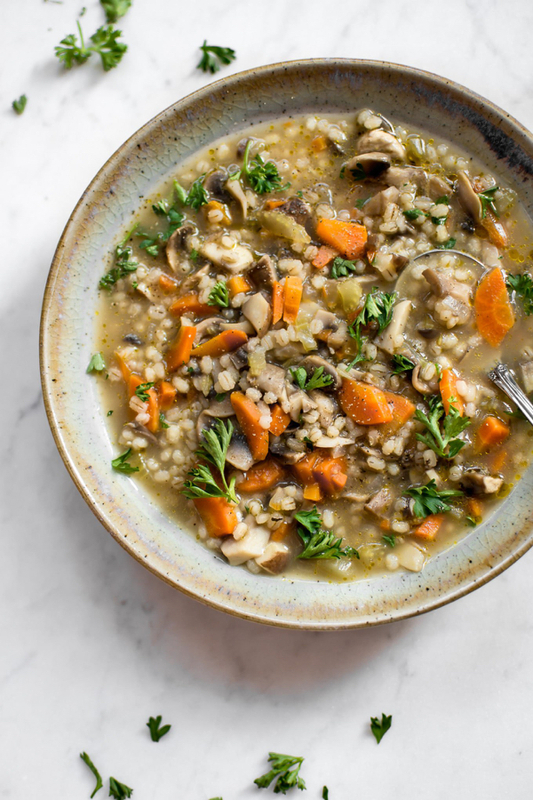 There’s a mushroom miso barley soup recipe in Power Plates that I’ve become pretty attached to, but I can never get enough soup recipes, and I’m loving Natasha’s version, which is infused with Italian herbs and seasonings. 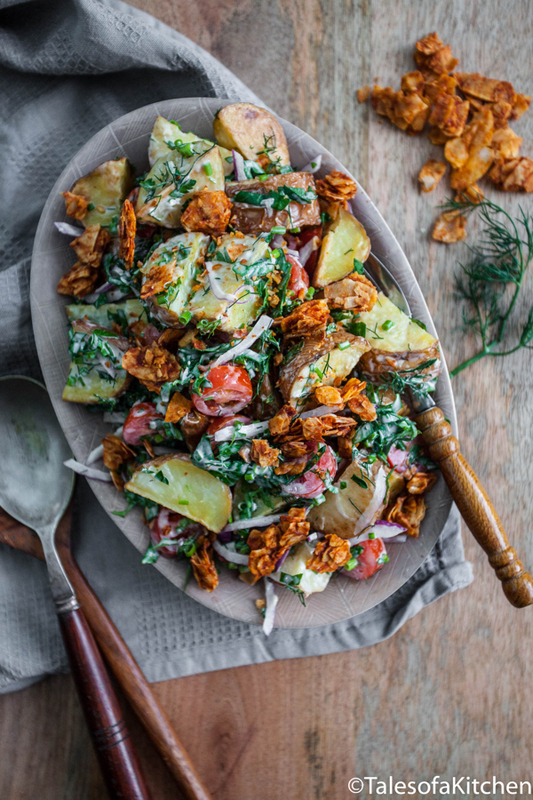 This is my kind of potato salad: roasted potatoes, dill, vegan bacon, creamy garlic mayo. Perfect vegan comfort food. Writing about Hannah’s book on Friday has me thinking about the art of creating really good food in very little time. It’s something I’m still figuring out. 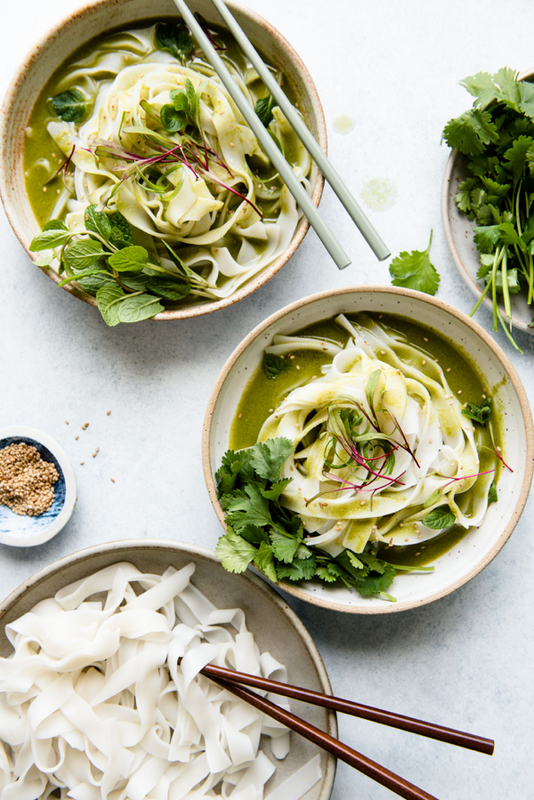 Lisa is one of the people I turn to for inspiration in this area, and her easy green curry noodles are a perfect example of a super speedy, flavorful, filling meal. I tend to have lousy luck when I’m baking exclusively with grain free flours (I do OK when they’re part of a blend that has some wheat flour or gluten free grain flours in it). I’m always impressed with the way that Lindsay works wonders with grain-free baking that’s also vegan-friendly, and I’m dying to try her easy vegan white cake. 1. In spite of spending a fair amount of time around doctors—and anticipating a year of clinical work on the horizon—I had never really given much thought to what it must be like for doctors to return to full time work after being treated for an illness, especially the illness that they themselves specialize in. There’s a lot of pressure for doctors and medical personnel to remain transparent, cool, and objective at all times, but my own limited experience in a helping profession is that personal struggle often gives way to empathy that can enhance one’s capacities as a practitioner. I hope that O’Riordan can indeed follow through on her hope to speak out more openly about her illness and encourage other doctors to do so with her. To me, agape means having the fortitude not only to empathize with patients or to provide compassionate care but to also habitually understand that each patient’s reactions may stem from their physical or mental suffering, past or current. To develop the ability to connect on a more spiritual level with the sufferer’s emotions despite their behaviors to truly be a healer. To put oneself in the shoes of each individual, remembering that everyone we meet is a product of what life has created for them. I can’t think of a more beautiful summation of how agape can animate medical practice. 3. In the wake of the tragedy in Florida this past week, Vox sat down with Gerry Griffith, a crisis counselor with over 30 years of experience, to ask questions about what’s needed in the aftermath of shocking losses. She offers a lot of practical, detailed perspective on how crisis counselors respond to different stages of trauma among the people they’re helping, and she also has important things to say about the importance of addressing peoples’ sense of powerlessness after these kinds of events. I had a mentor, early, early on that said doing this work is learning how to keep your heart open in hell. I know what hell looks, tastes, like, and smells like. I think, for me, there are people in my life that I can talk to about this. I have a husband, he’s proud of me and he supports me. When I’m out there in Oklahoma City or out in New York, I can call him and I can talk about how the dog, what she’s doing today. Because he’s not there. Somebody asked me the other day: ”How would you know when you’re done?” I said, “When I stop crying.” When I stop feeling, when I don’t cry, my heart has closed and I have to quit. I thought it was impressive that Griffith’s barometer of being fit for the task of counseling is having a strong capacity to feel. Something I want to keep in mind, in my own small way, for my future work with clients. 4. I really like Carrie Dennett’s reporting, and I was glad to see her in-depth consideration of orthorexia in the latest issue of Today’s Dietitian. Orthorexia is a complex compulsion, often more difficult to address than other types of disordered eating because it is so often rooted in basically valuable efforts and intentions to eat healthfully and well. While anorexia put me in my most dire state of biological illness, I think overcoming orthorexia was in many ways a trickier challenge, because it was so hard to separate obsession and compulsion from the sincere value I place on mindful, conscious, health-supportive eating. Dennett delves into all of the difficulties and complexities of addressing this syndrome, including the fact that, as of yet, there’s no consensus on a definition and no validated assessment tool. “Eating doesn’t become pathological until it becomes entangled with obsessive thinking, compulsive and ritualistic behavior, and self-punishment,” she notes, which echoed my own intuitive sense of what orthorexia is when I encounter it in my own work. I’ve often seen the question posed of what distinguishes orthorexia from healthful eating, and I’ve written about it myself. I think the answer might be that anxiety and feeling of suffocation that Fossenbeck mentions. 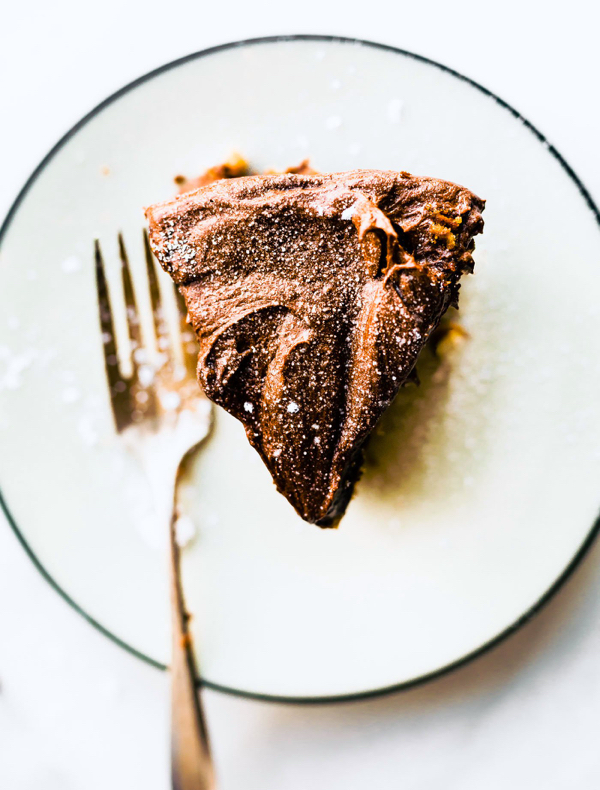 A particular kind of health-conscious eating style might be either self-caring or destructive; the difference rests in the mentality and subjective emotional experience of the individual in question. I suspect that the dietetic and mental health treatment communities are just at the start of understanding this complicated expression of disordered eating. For now, the best we can hope for is more awareness, more observation and research, and an ongoing effort to enlist more people who have struggled with orthorexia to honestly share their stories. I’ve been giving lots of thought to recovery with NEDA week on the horizon, and this is nice motivation for me to use my voice. 5. I mentioned last week that the heart chakra and heart-opening are on my mind this month. With loving-kindness in mind, a sweet list to wrap up with. Happy Sunday morning, everyone. I look forward to checking in with a hearty, colorful new winter salad recipe in a couple days. Thank you for sharing this post about a doctor’s own experience with a terrible diagnosis. This is my story too. In Nov 2014, I was diagnosed with impingement of the spinal cord in my neck and I had to have 2 urgent surgeries to avoid becoming paralyzed. I had previously been running 8-9 miles most days of the week. I also had developed an eating disorder after I had originally started to run and diet in an innocent attempt to shed 10 extra lbs. At any rate, becoming a patient myself AND being treated at the hospital where I worked was difficult.I had a very difficult recovery ahead of me. A key to this recovery was making sure my nutrition would fortify the fusion of my cervical spine. So I had to tackle my neck surgery recovery as well as my overall ED body (and mind). It has taken me 3+ years to become a normal weight again. I went back to work 3 months after my surgery and I was in many ways so much better equipped to care for my HIV-infected patients. It was difficult as well in that I had become very emotional about patients having serious health problems. It truly made me a more empathetic doctor. Anyway needless to say my story is rather long but I wanted to share with my experience you (and your readers). What a good wrap up, thank you! I particularly liked Carrie Dennett’s article. I just had a conversation with my friend earlier this week about orthorexia, a term that she and I had not really heard of until recently. (And didn’t know that there was a term to describe a cluster of symptoms that seems familiar.) We talk about food, exercise, and health a lot and my comment to her was that it would only take a nudge to push someone into this arena of disordered eating. It seems that we all have tendencies and that so many of the symptoms described show up in other conditions (or visa versa) that a person would need to be careful. I can relate to your feelings of managing anxiety. I’m learning slowly that my anxiety is likely always to be a part of me, but also that it can co-exist with the feeling that everything will be okay. Having the tools to manage it makes it easier, but I also recognize some days will be worse than others, and that’s ok. I can be a fully formed lovely human and also feel like the world is spinning too fast and off kilter sometimes. Thanks, as always, for bringing such a lovely vulnerability to your posts. 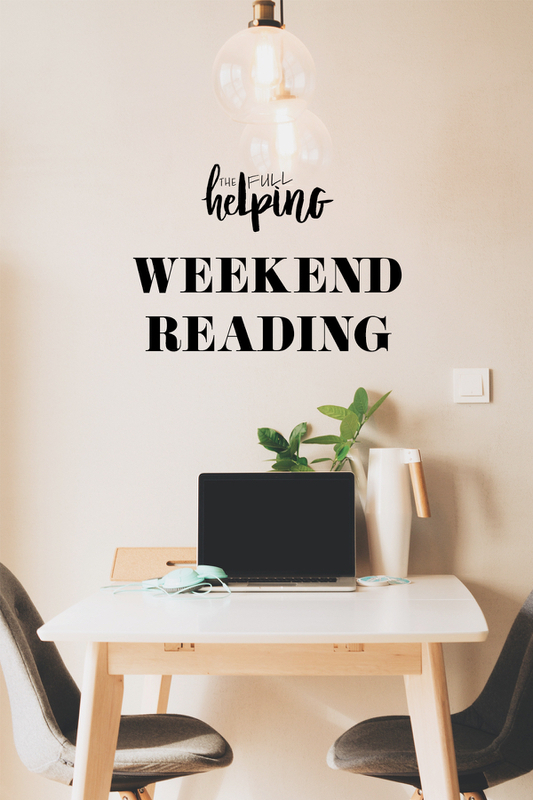 Gena, I have been following your blog for a while but admit to not having studied your weekend reading lists in depth until now – they are amazing! The orthorexia article was fantastic (a personal interest of mine) and I’ve bookmarked it for more analysis later. I can’t wait to see next week’s recommendations now. 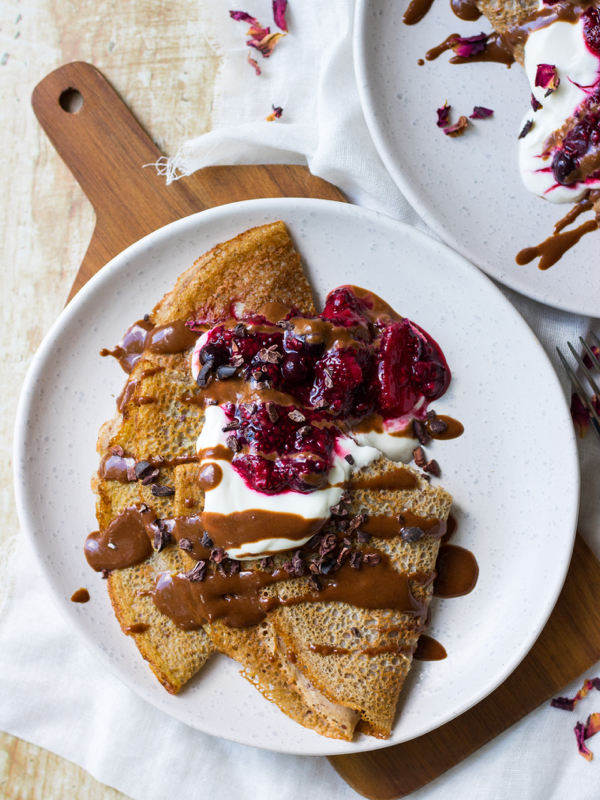 Thank you so much for including my crepes! Thanks so much for including my soup recipe! I live with anxiety too… some days are better than others. I need to get better at self-soothing, especially with working full-time and doing the blog. Thank you for your blogs, and sharing so much about the difficulties you have been working through. They all are warm, kind, and helpful. Thank you for sharing my recipe! So happy you like it.